Compare prices on excellent Brancott Estate wines. Search for vouchers, awards and reviews to make the best purchase. 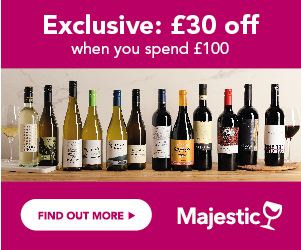 Look at new offers and receive Price Alerts if you want us to notify you when your favourite bottle goes on sale. Brancott Estate was the first New Zealand wine brand to catapult the country to fame for its Sauvignon Blanc, from Marlborough. The launch of the first 1979 was to change the face of white wine drinking trends less than 30 years later, and launch the phenomenon that the New Zealand Sauvignon Blanc is today, both in the UK and around the world. From having a tiny section of the wine market less than 10 years ago, New Zealand now represents over 6% of all sales in the UK, with Brancott Estate the second biggest brand from the country, and in the top 25 overall wine brands in the UK. On average, Wine drinkers are prepared to spend more money on New Zealand Sauvignon Blanc than on any other wine. The phenomenon that is New Zealand Sauvignon Blanc was pioneered by the owners of Brancott Estate, the first of the estates in the now large portfolio of land that the company owns. During the 70s winemakers in New Zealand were looking at new opportunities and were trialling various different grape varieties in different locations. The Brancott estate wines, known in those days under the Montana brand name, were first exported in 1980, and by the 1990s were taking the world by storm, with this vibrant new style, of intensely fresh, clean and zesty white wine. The company now has vineyards throughout the Marlborough region, throughout the South Island, and also in Gisborne and Hawkes Bay from the north island, and is one of the largest producers in the country. At a time, when there is a great deal of criticism levelled at branded wines, in terms of drops in levels of quality, wine drinkers and unusually wine critics alike, have praised the consistency and continued high quality of the wine, which is viewed as a benchmark for New Zealand Sauvignons. There are two tiers of wines, within the Brancott Estate portfolio, the Classic Range, and the Letter range. This range comprises 8 wines, 3 white, 2 red and 3 sparkling with the aim of showcasing some benchmark quality wines, which each perfectly define the grape variety from which they are made, and the region, from which they come. The Brancott Estate winemakers focus on delivering the purest expression of the unique character that each wine develops based on its location. Brancott Estate Marlborough Sauvignon Blanc – the flagship of the brand, and multi award winner, with recent accolades including Decanter and IWC trophies, the style stays consistent, with its persistent, intensely fresh tropical fruit and fresh citrus character, with a bright freshness, and zip. An absolute classic, which has held fast to its roots, and its principles. Brancott Estate Marlborough Pinot Grigio – the heady mix of two of the most popular words in the white wine drinker’s vocabulary – New Zealand and Pinot Grigio, make this wine a surefire success! In New Zealand it’s known as Pinot Gris, and this grape variety is producing some fantastic, ripe, aromatic, fruity wines in Marlborough; but for the export markets Pinot Grigio is the name of fashion, although the ripe, almost lush, peach and baked apple character of this wine, with its smooth, creamy ripeness, and heady aromas, bears no likeness to some of the thin, fruitless Italian Pinot Grigios that we see. Brancott Estate Gisborne Unoaked Chardonnay – a delightful expression of this beautiful grape, unmarred by oak, and a great one for those who profess not to like Chardonnay; from Gisborne, in the north Island, this wine has an open, inviting, creamy warmth, bursting with ripe peach and nectarine character, with a twist of lime, and a squeeze of fresh lemon – ripe, and a pure expression of Chardonnay fruit, it’s smooth and round, but this a tangy, citrussy edge. Brancott Estate Marlborough Pinot Noir – the cool climate of Marlborough is also ideal for the production of cool climate-loving Pinot Noir, and this is an excellent example. With only subtle oak ageing, this is a fragrant, exuberantly fruity and silky Pinot Noir, with ripe black cherry and raspberry fruit, an overt richness, and a smooth, soft finish, with gentle oak, rich fruit, and soft tannins. Brancott Estate Hawkes Bay Merlot/Cabernet Sauvignon – in the warmer regions of the north Island, the Hawkes Bay area is producing some intensely, flavoured structured reds, of which this is a good example. Full, fleshy, and richly flavoured, it’s a Bordeaux-style blend of Merlot and Cabernet Sauvignon, with a delightful ripeness, openness and intense flavours of mint, currants, ripe plums and a hint of bitter chocolate. A harmonious blend, with great character, body and intensity. Brancott Estate Sparkling Chardonnay/Pinot Noir Brut – for this more traditional sparkling blend, the winemakers have taken grapes from Hawkes Bay, Gisborne and Marlborough to create an elegant, creamy, slightly toasty dry sparkling wine, with a fine mousse. Brancott Estate Sparkling Rose Brut – this delightfully creamy, fruity Rose is made from Chardonnay from Gisborne, blended in with some Pinot Noir, to provide its gentle pink colour. It's a stylish fizz, with exuberant strawberry fruit, and a gentle, elegant style. The four wines in this range showcase the craftsmanship of the winemaker and the true potential and quality of individual parcels within individual vineyards. These are handcrafted wines, designed to show both the winemakers skills, and the individual expressions of the fruit from different parcels. They also show wines, which winemakers may have made using different techniques. From handpicked vineyard parcels, the wines are blended from carefully selected individual batches, and made only in years when the grapes can reach their true potential, ripeness and style, to reflect a perfect expression of the grape’s intrinsic nature and display a harmony of aroma, flavour and structure. Brancott Estate Brancott ‘B’ Marlborough Sauvignon Blanc – harvested from the slopes of the southern Wairau River vineyards, this is intense, rich and structured, with an incredible depth of lively, passion fruit and grapefruit character, a full texture and an elegant minerality. Brancott Estate Renwick ‘R’ Marlborough Pinot Gris – a beautifully crafted wine, displaying all the enticing, honeysuckle and lime aromas and flavours that Pinot Gris beguiles with. Sumptuously rich, yet dry, it’s an entrancing wine, with an orange and spice edge. Brancott Estate Terraces ‘T’ Marlborough Pinot Noir – a true expression of how well Pinot Noir performs in Marlborough, this is an opulent, powerful, yet silky soft red, with a velvety, seductive ripeness, supported by aromatic raspberry and violet fruit character, overlaid with a hint of spice. Supremely elegant. Brancott Estate ‘B’ Late Harvest Sauvignon Blanc – a new experiment, with very few bottles made, and every one of those precious! Made in the same way as some of the great dessert wines of Europe, but with the unique twist of being Sauvignon, rather than the more traditional Semillon or Riesling. These late harvest, sweetly intense grapes, produce a golden nectar, which retains a delicious freshness, but has a glorious rich apricot and ripe melon fruit character, with a citrus tang to support the raisiny richness. Sauvignon Blanc – fresh, zesty, with intense tropical fruits, and a searingly citrus edge, this works with all types of seafood, is perfect with Indian and Chinese dishes, and a dead cert with tuna nicoise, Thai prawn curry, and goats cheese salad. Chardonnay – clean, elegant and creamy, the rich, tropical fruit flavours work well with buttery roast chicken, creamy fish dishes, pan-fried salmon and soft cheeses. Pinot Gris – the ripe, aromatic, fuller bodied style of Pinot Gris is growing rapidly in popularity; characters of ripe peach, elderflower , baked apple, and a hint of honeysuckle attract, yet are balanced by a tangy, citrussy dry edge. The weight and aromatic style of Pinot Gris make it a perfect wine to go with hot, spicy Thai food, some more delicate Chinese dishes, and modern, zestily flavoured and spiced Asian recipes. It’s also great with chicken or pork in fruity sauces, and fish or chicken with ginger, lime and chilli. Pinot Noir – silky, smooth, velvety and lighter in style than many reds, with a naturally sweet edge, Pinot Noir is the classic accompaniement to roast or pan fried duck, all types of game, and is also the best red to go with spicy dishes, such as sizzling Chinese beef, Indian curries, and Thai stir fries. Merlot/Cabernet Sauvignon – rich, soft, intense and ripe, this is a great food wine, and it’s just perfect with steak, roast beef, barbecues, and lamb braises, as well as being a great wine for cheese. The blackcurrant and mint influence of the Cabernet Sauvignon provide Bordeaux - style elegance and it would also be a perfect partner for young roast lamb. Sparkling Cuvee brut and Cuvee rose – perfect and great value party wines, good with canapés, smoked salmon and blinis!